A day of caring as our team of employees and volunteers builds a ramp for a family in need. 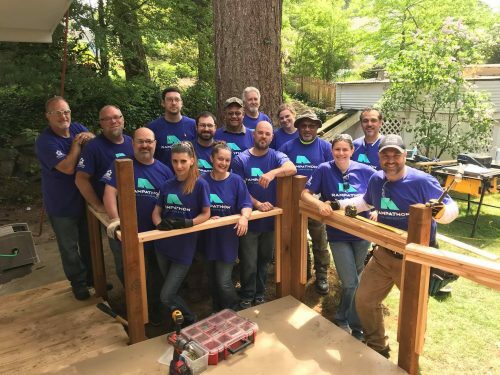 Each year since 1993, MBA members and community volunteers head to a home site somewhere in King or Snohomish County to build a ramp. For free. Because our neighbors in need deserve the same freedoms we have. Wheelchair access ramps are their link to our beautiful community we all share.